Hot Shots Nuclear Medicine is staffed by licensed nuclear pharmacists with advanced education, training and experience in the preparation, distribution, and pharmacology of radiopharmaceuticals. We are always available to answer your questions, research requested information, and immediately respond to any problems that may arise. 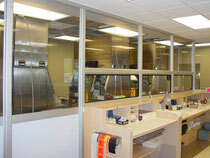 Our products are prepared in an aseptic environment under a laminar air flow hood. Some radiopharmaceutical kits are capable of supporting bacterial growth, so adherence to strict aseptic procedures to assure sterility is very important. We can make available to your department the most progressive therapies and diagnostic tests in areas that we serve. Many of the recently released and forthcoming radiopharmaceuticals are more laboratory intensive and require additional work to prepare and often entail more difficult Quality Control processes. Hot Shots Nuclear Medicine services are designed to allow you to offer your patients the most complete line of the highest quality products available. Our services are designed to maximize your department's overall efficiency and thus, improve your patient satisfaction and profitability. 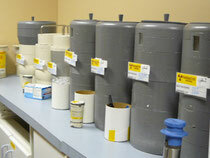 Dose preparation, labeling, q.c., disposal, and record keeping is performed at the radiopharmacy, so technologists are free to concentrate fully on performing studies and delivering quality patient care. Detailed invoicing is provided to simplify your paperwork. Your drug cost per patient is fixed and remains constant even when your patient load changes, so administration may project or budget your costs and revenues much more accurately. We offer the widest product line available. 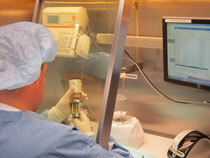 No other radiopharmacy or manufacturer offers a more complete product line. Each manufacturer has products that are unique and a number of new companies with unique products will be entering the nuclear medicine marketplace in the near future. Hot Shots Nuclear Medicine serves as a one-call source for all nuclear medicine products and for information about new, existing, and investigational products. Furthermore, we regularly buy from multiple sources so that we are better positioned in times of vendor specific shortages. Hot Shots Nuclear Medicine's unit dose (single patient) pricing allows you to know exactly what the drug expense will be for each patient. Individual patient prescriptions are invoiced at the end of each week. Each individual patient dose comes with a prescription copy that facilitates approval for third party reimbursement for the drug in addition to the procedure. In contrast to you buying the raw materials from a manufacturer and preparing the drugs yourself, we dispense individual prescriptions ready for administration to your patients. Such prescriptions are provided from a licensed pharmacy and meet all required federal and state standards for quality, purity, sterility, and labeling. Hot Shots Nuclear Medicine retrieves all unused radioactive products that we provided to your nuclear imaging department. This saves space in your department as well as time. 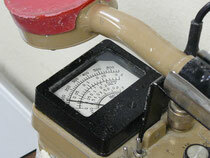 Summary: Radioactive waste disposal responsibilities are minimized at your department. Unlike when you purchase from large manufacturers or large chain nuclear pharmacies, because of Hot Shots Nuclear Medicine's local ownership, money is reinvested in our mutual economic area. Hot Shots Nuclear Medicine creates jobs for our area, pays local taxes, supports other local businesses, and sponsors educational seminars and social functions for the benefit of our community. Summary: Hot Shots Nuclear Medicine has a vested interest in our community. 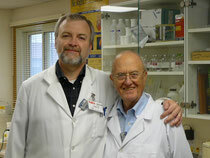 Our BioRx pharmacy software is compatible with most all common nuclear medicine department management systems. This allows you to barcode all incoming products, thereby eliminating any manual entries into the computer system. 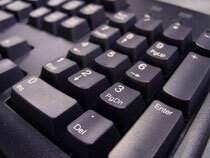 Through this process, mistakes and mis-entries are minimized and less time will be spent on data entry. Online ordering by authorized clients is fast and simple. 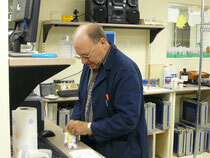 Additional benefits are realized by departments using the BioDose managment system. Our staff is readily available for training and or trouble shooting with any computer need. 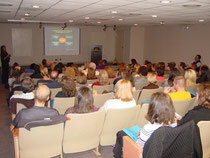 Continuing Education Slide and Video Program: Group and individual CE programs are customized for our clients. Seminars developed by our customer committees are presented semi-annually. Patient Information Brochures: This includes: Guidelines for patients receiving radioiodine; Patients guide to Nuclear Medicine Professional Service Department. Waste Disposal: Provides a mechanism for the pickup, decay and disposal of radioactive waste (products provided by Hot Shots Nuclear Medicine).